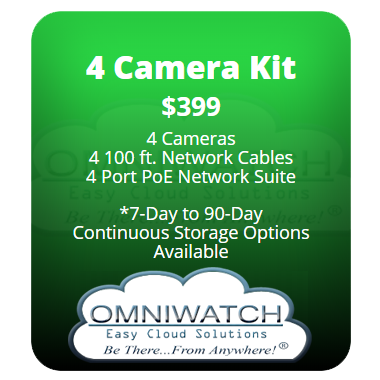 This is your D-I-Y kit for your cloud video storage account. Video storage can be chosen for as little as $10/month per camera with a range of options from 7-day continuous storage to 90-day continuous storage per camera. 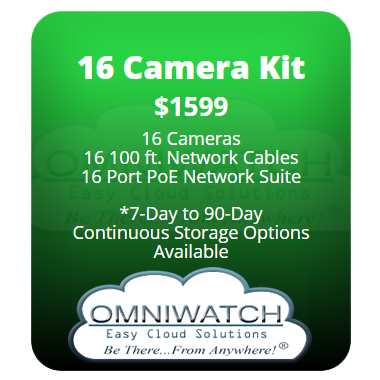 © 2019 OMNIWATCH Easy Cloud Solutions. All rights reserved.